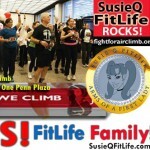 – November 29, 2012Posted in: SusieQ FitLife Updates! Zig Ziglar will always remain on Top! Zig Ziglar Dies at 86; Yet Remains Immortal to Many! Zig Ziglar’s most moving and motivational quotes can be found below; in memory of a legend that would make Norman Vincent Peal most proud! In the meantime we leave you with the words that the FitLife Family will continue to live by… “You can have everything in life you want, if you will just help other people get what they want!” SusieQ FitLife is dedicated to make these magical words live on as we work towards helping many people help themselves to get to the TOP & Get a FitLife!